This year marked the 67thMiss Universe pageant. It also marked the fourth victory of the Philippines, with the crowning of Catriona Gray. A piece written by The Washington Post tells of her mother’s dream, when the contestant was 13 years old, in which Gray won the pageant in a red dress. It also explains the importance of her win, among all the other wins Filipinos have garnered. The country is believed to take great pride in pageant performance due to its history. A local professor says its governance by Spain and then the U.S. “deprived” the Philippines of establishing its own standards. These were for appearance and character, among others. So, she says, participation in – and the winning of – pageants allows the country to “reclaim” its ideals. That’s why it takes the qualities of its representatives seriously. Gray is more than her physical beauty. She is her intelligence; she has a master’s certificate in music theory. She is her initiative; she started a free school for children. She is her passion and interests; she loves the outdoors and has a certificate in outdoor recreation. She is her problem-solving skills; she raised money to convert an old apartment into a childcare center. And, pageants today, more than ever, look beyond the surface of their contestants to shine a light on these details. It’s why the Philippines recognizes the need for the right contestants to win. Likewise, smart brands find well-rounded best brand ambassadors to make the best impressions on their judges – consumers. Here are seven shining examples from 2018. These brands enlisted brand ambassadors with the right balance of appearance, skills, and personality to win the affections of consumers. Everyone knew the best pizza crust was made from flour. That is, until CAULIPOWER hit the scene. Yet, even with the demand for healthier products, the sale for a cauliflower-based pizza crust could still be hard won. 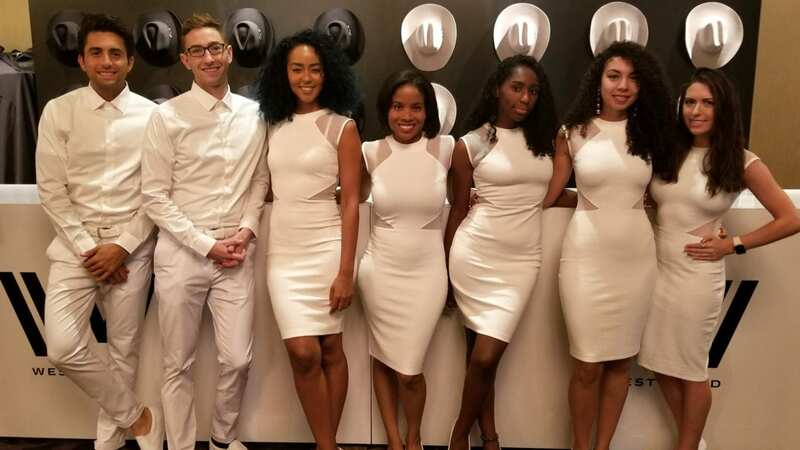 So, the brand enlisted the best brand ambassadors around to convince consumers. Its handpicked individuals embodied physical health. Yet, they also were passionate and knowledgeable about nutrition. On California streets, they engaged passersby, sharing the innovative product’s benefits and bringing home the win. The landscape of automotive marketing and sales has evolved. “Booth babes” no longer get the job done as consumers look for an authentic experience and transparent transaction. Instead, auto brands are lowering the pressure and making the process one that’s not only educational, but enjoyable. And, Mercedes-Benz is among those leading the charge. This year, the brand perfected an immersive experience in pop-up shops in select locations. In fact, the people engaging visitors in one such shop drove nearly 250 visitors to local dealerships to buy. Mercedes-Benz then helps build loyalty through such events as this summer’s U.S. Open. There, its best brand ambassadors solidified relationships with consumers by reminding them how important they are with exclusive perks and one-on-one attention. Cause marketing has become a must-have for brands as consumers choose those that align with their values. And, the right “face” for the initiative can be just as important as the cause itself. That’s why, when U.K. telecommunications provider Sky showed its support of plastic reduction, it enlisted the best brand ambassadors for the job. These individuals showed compassion and understanding of the Sky Ocean Rescue cause. They were also friendly in sharing their knowledge and ways consumers could cut out single use plastic. Yet, they were still persuasive to encourage them to share the experience on social media. In short, their efforts drew positive attention to the cause, as well as for the brand. CPG categories are saturated, prompting smart brands to find innovative ways to stand out from the competition. Knowing consumers are always searching for an experience, their ideas usually make the best use of crowds. Still, it’s only successful when seamlessly done, making the right brand ambassadors a must. 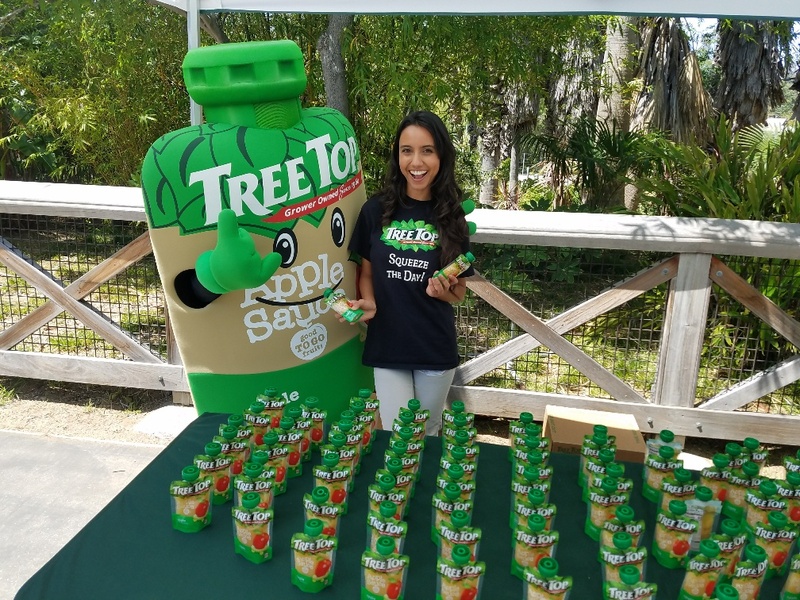 Tree Top, a maker of apple-based products, gave us a great example this year with its “Squeeze the Day” campaign at five U.S. zoos. The brand ambassadors had personalities that appealed to kids, as well as allowed them to connect and educate parents on the products. They immersed themselves in the zoo experience, building knowledge to assist families on their outings and bring credibility to the brand. When it comes to brand ambassadors, YSL Beauty partners up with the hottest names, including Zoe Kravitz, Kaia Gerber, and Halsey. Still, it knows its brand ambassadors on foot – the ones who engaged consumers in its 30+ pop-up events this year – bring tremendous value in building emotional connections. In its “Beauty Hotels” in Paris and NYC, for example, the best brand ambassadors let visitors in on beauty secrets in Instagram-worthy rooms on five floors. Their efforts in NYC alone led to 41 million social media impressions, meeting the goal for 2018 to create “brand awareness and social buzz.” And, there’s no doubt as its aim for pop-ups gets more complex in 2019 – to collect customer data beyond email addresses – event marketers will continue to enlist the best of the best. The classic, yet cutting-edge maker of shoes and apparel knows the key to capturing consumers’ hearts is through their passions. So, it always sets out to amplify an experience related to their mutual affections, whether limited-edition sneakers or basketball. One 2018 activation Adidas held in London catered to fitness buffs to promote a new Stella McCartney line. Yoga sessions and boxing classes were held to draw in targeted audiences. But, the “close” was made by brand ambassadors who gave personalized advice on the best Adidas products for attendees’ workouts of choice. The brand proves once again specialized experts make the best brand ambassadors for any activation. At Elevate, we are proud to provide the best brands with the best brand ambassadors. Get to know our specialized event staffing services and how we can help you win with consumers every time.